Keiko Matsui (???? 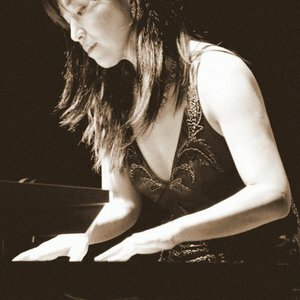 ), born in Tokyo as Keiko Doi on July 26, 1961, is a Japanese smooth jazz/new age pianist and composer whose music and sophisticated elegance have propelled her to success and established a cult following among her fans. A prolific recording artist, Matsui's career spans three decades, during which time she has released twenty CDs (in addition to various compilations) and has received international acclaim. Matsui's music is powerful and introspective, blending both western and eastern musical influences. She has a very spiritual view of composing music, feeling out each composition as though it were, in her words, "coming to me from another space, another dimension," and "catching notes from the silence and then simply placing them together". Matsui sees music as "the great gifts from the human souls from the past, for the children of the future". She believes that music has a power to bring people together and change their lives. "We are connected by music," Matsui wrote, "as the Ocean connects the continents". A lover of nature, Matsui often makes reference to plants, animals, the elements, and other natural features and phenomena in her song titles. She shows an especial fascination with the moon as a number of her compositions refer to the moon in their titles. Matsui's music shows signs of evolving over the years. Her American debut album A Drop of Water showed a promise of east meets west with a jazz fusion flavor. However, her recordings for MCA Records in the early 1990s lacked this appeal and, for many, sounded indistinguishable from the rest of what is now known as smooth jazz. Starting with Cherry Blossom, though, her music increased in popularity as she differentiated herself from the rest of contemporary jazz. By the time Sapphire was released in 1995, her music flirted with everything from funk music to latin and world music. Whisper From the Mirror from 2000 showed Matsui leaving the smooth jazz style and moving towards new age with a soundscape sound. A number of her fans had a problem adapting to her new style of music (though she continued to play smooth jazz at her concerts). But many welcomed the change. Over time her post-2000 albums show a more worldbeat flavor to them. Her 2005 release Walls of Akendora, however, is a throwback to her pre-2000, smooth jazz days.